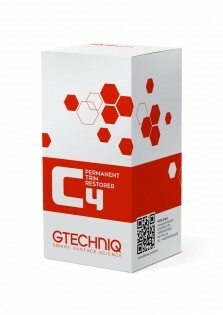 Why use Gtechniq C4 Permanent Trim Restorer? 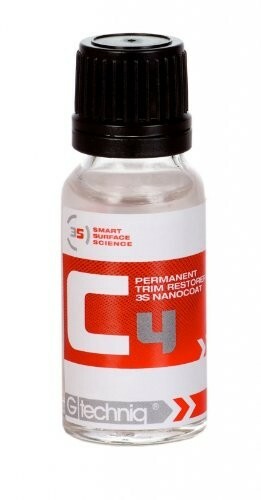 C4 utilises a chemical bond to become an extension of the plastic molecule it is protecting. The coating swaps part of its molecular structure with the surface molecules of your car’s trim. This means that you have a protective coating of unparalleled durability. Unlike many trim products on the market, C4 is exceptionally thin (circa 30 nanometers) optically clear film – this means it will not add an unattractive gloss finish to the surface. Instead, it restores all, but the most faded trim to an ‘as new’ condition. It is ideal for new trim, helping to prevent fading.